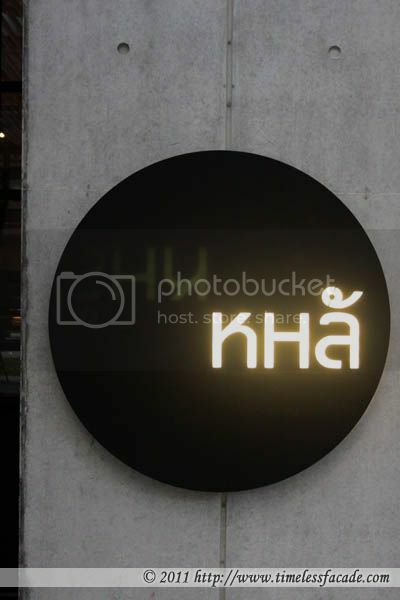 Kha, a modern Thai restaurant under the Epicure group (which also counts modern Australian outfit, Graze, in it's stable of restaurants) has not so recently relocated from it's original site in Hort Park to No.38 Martin Road, a rather upscale residential condominium. To that note, I had the opportunity to dine there one evening, courtesy of the restaurant. 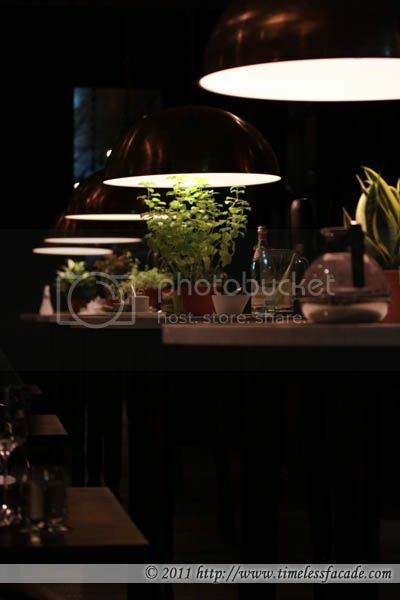 The restaurant is dim by default and I like the use of dark furniture and various vintage items to bring out a contemporary yet authentically Thai feel to the whole place. 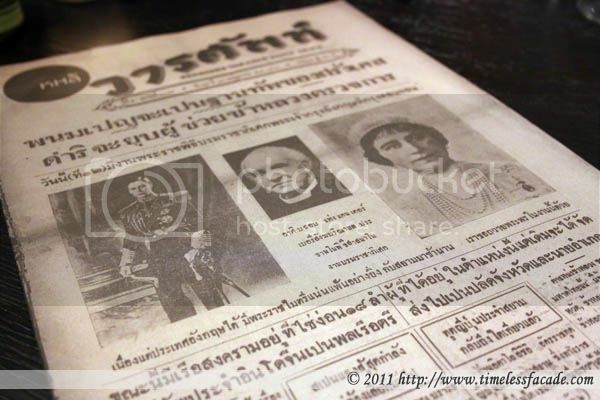 The faded Thai newspaper lookalike menu completes the picture. One gripe I have though, is that the place is a holding area for noise due to its boxed up interior and concrete ceilings, to a certain extent. 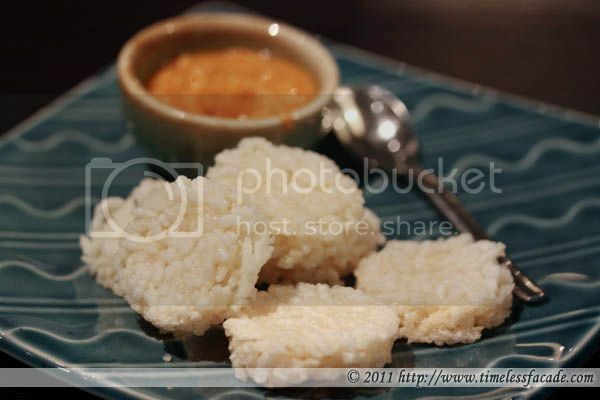 We started off with crisp rice cakes which seemed a little too dry but the spicy dipping sauce did help things a little. 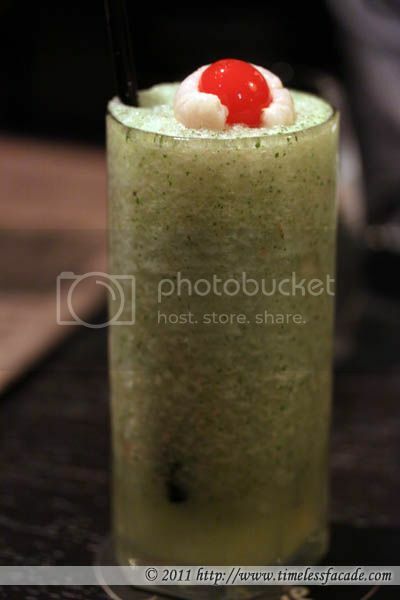 This mocktail was great - lychee sweetness coupled with a refreshing breath of mint in a lemony twist. So good that I couldn't resist the offer of a second glass. The wagyu beef was very good. Well grilled, as evident by the dark lines running down the meat, yet succulent with a nice brush of salt and smoky tenderness. Great way to start off the meal! 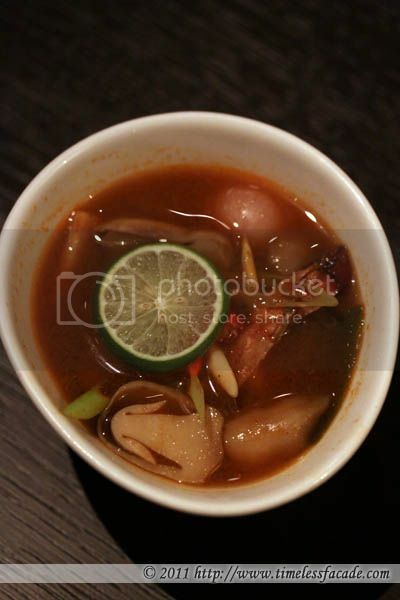 Nicely spicy but overly salty with the prawns a little too soft for comfort. Personally I also thought that the soup could do with a little more tartness. 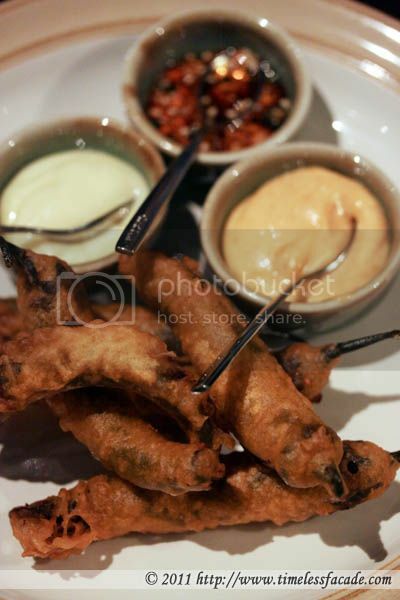 Meaty without being overly nausea inducing due to the use of minimal flour and the addition of sweet chilli sauce. Probably one of the better crab cakes I've eaten so far. The tofu cubes were crisp but boringly pedestrian. I couldn't make much much flavour from the tofu itself and the center seemed hollow. The supposed three flavour sauce was almost non existent. A richer sauce would have probably saved this dish from the deep abyss of disappointment. Greens are healthy but this wok fried vegetable dish was laden with so much oil that it was gross. 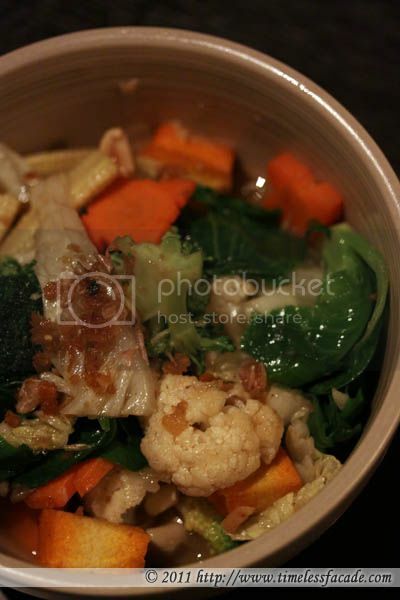 And there was no wok hei even though the vegetables had a nice fragrant whiff to it. Tasted more like a dish of convenience than one of quality. 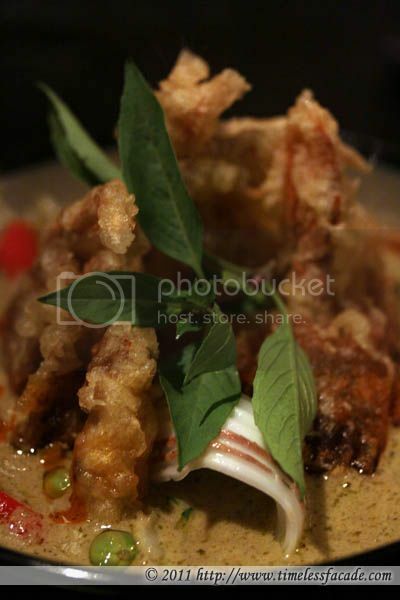 The soft shell crab green curry wasn't anything to shout about in my humble opinion. The crabs had a nice crispy layer but somehow the overall bite was missing. I didn't quite take to the curry as well as it seemed a little lacking in flavour. I'll be upfront and state that I'm not a fan of stuffed peppers or chillis. So that means no stuffed jalapenos and the likes. But this was something interesting. 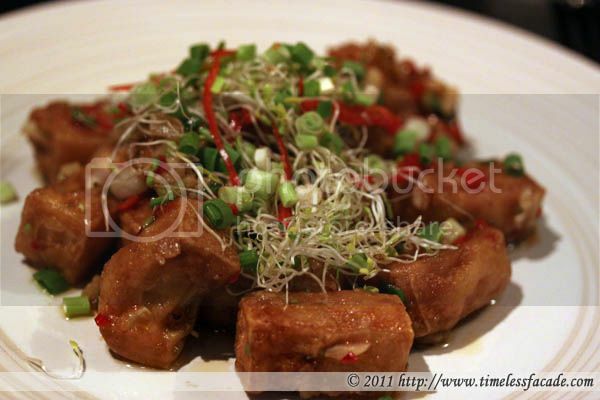 For starters, the chilli was coated with a layer of batter and deep fried, giving it a nice crisp on the outside and as you bite into it, you get hit by a bitter taste which slowly melts into a hint of pork and herbs. Nice to try in small quantities but probably not something I would order again. I'm a sucker for mango/durian sticky rice so this dessert suited me just fine. 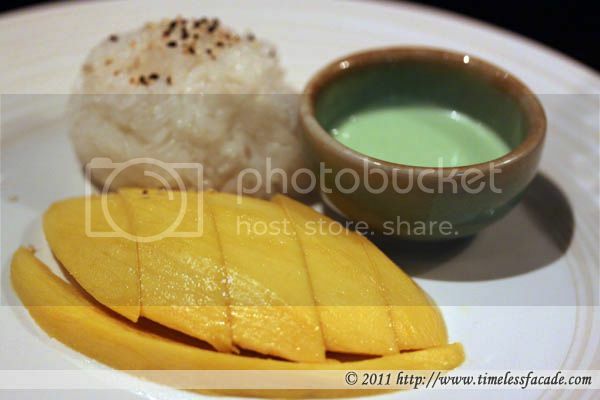 I liked the coconut pandan sauce which infused the not overly sticky rice with a nice pandan fragrance. I can't say the same for the mango slices though, which lacked any discernible fragrance but still came across as sweet. I didn't find the red ruby dessert to be anything really special. 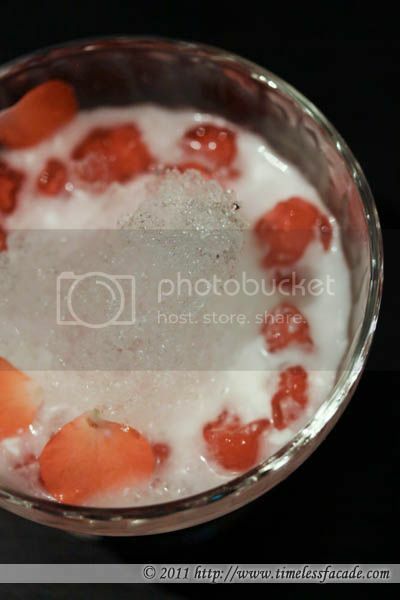 It was essentially chilled coconut jasmine syrup with shaved ice and chewy red rubies. There were also these flower petals that had a bitter taste to them. 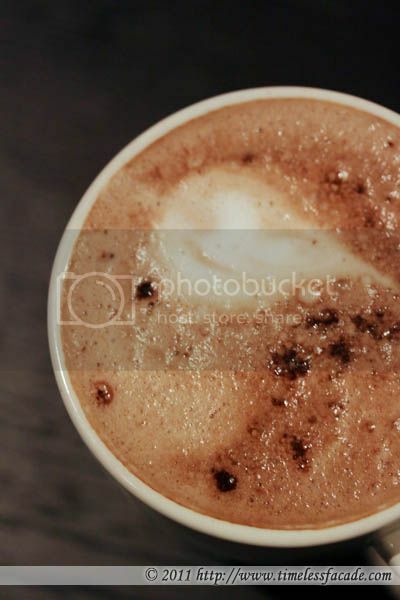 We ended our meal with a big mug of espresso. Great way to end off a filling but hardly satisfying dinner. There were honestly more misses than hits. Maybe I'm just not their target audience. 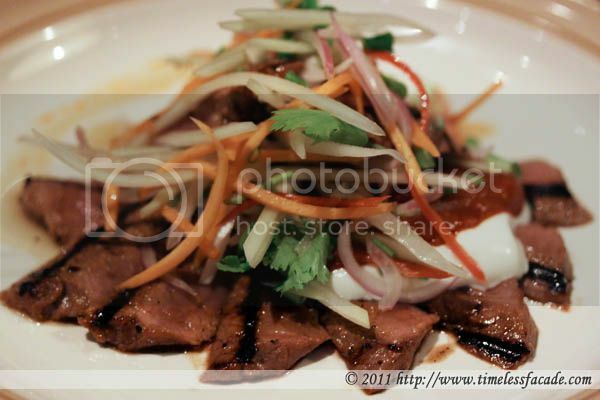 Nonetheless, I must still thank Kha and its PR consultancy for presenting me the opportunity to dine there. Thank you! I appreciate the honesty in your reviews despite it being an invited tasting. 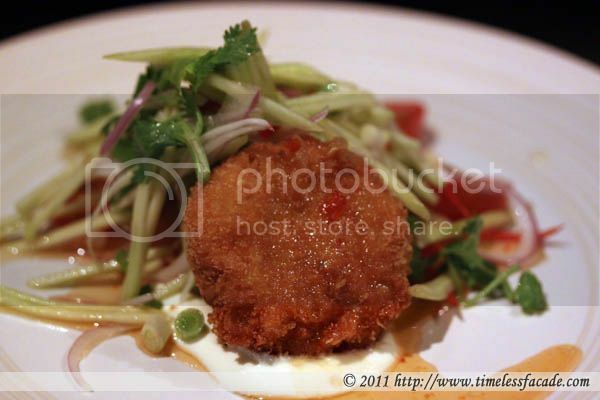 The food looks really good in the photos too!